Temporary tattoos were once reserved for little kids at birthday parties, but now times are changing. While those cute 1.5×1.5 inch tattoos are perfect on children’s hands and cheeks, this body decor is making its way into adult world. From scented ink to flash tattoos, these skin accessories are becoming a fashion staple. This type of body art has a rich history, dating back 5,000 years in India, Pakistan, and other parts of the Middle East and Africa. The use of henna is rooted deeply in traditional celebrations, often used for weddings and other events. Henna has made its way to the West, and people have been using it to create skin designs for decades. Whether you are looking to learn more about the cultural significance of henna or are part of a culture that uses it regularly, you can use this recipe to make your own. Step 1: Pour about 100g of henna powder into the mixing bowl. Add water while you stir until the powder turns into a thick paste. Step 2: Cover the bowl with plastic wrap and wait about 15 minutes or until the mixture has absorbed most of the liquid. Step 3: Add your favorite essential oils. 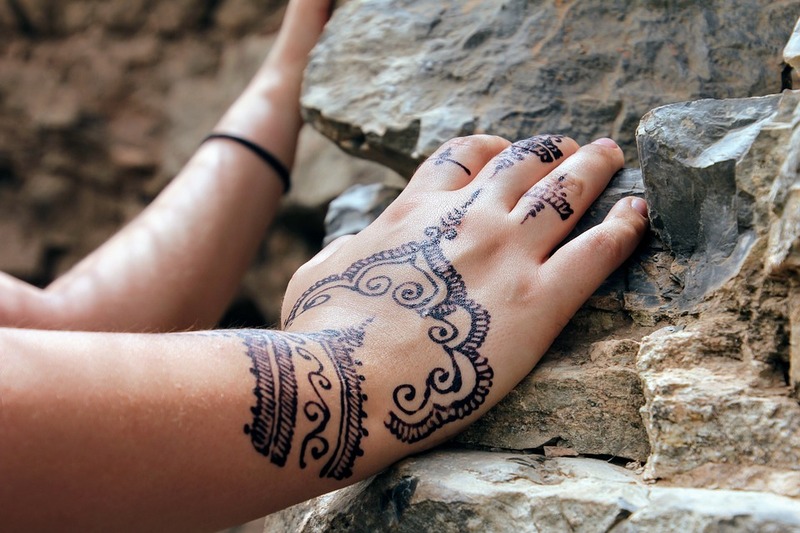 Tea tree, frankincense, and cardamom are some of the most popular options for henna. About 30 mL should do the trick. Step 4: Add a few splashes of water and stir it in until the mixture has thinned a bit more. Cover the mixture with plastic wrap again and let it sit for about an hour. Step 5: The mixture should be thinner at this point. Mix it up until it is smooth and sticky but still thin. Step 6: Pour the mixture into the dessert decorating cones. Cut a small hole in the bottom of the cone. Step 7: Get your friends together and start decorating! Once you apply your henna, let the substance dry. Then you will be able to remove the excess from your skin. The design underneath will eventually turn a brown-orange shade. You might consider trying out variations until the recipe until you get your ideal henna. If mixed and applied correctly, your gorgeous design should last between one and four weeks. I think im going to try this!